Who knew alchohalics could be so cute. It's fine for a short. It tells your average tale of a stoic woman with a secret alcohol addiction along with her enabling husband. It's cuter than it sounds. It's likely to get a giggle out of you every now and again, and that's all it really needs to do. Won't make you cry with laughter, or really leave a lasting impression, but sometimes that's OK. This is one of those times. And I ask myself Why? I am still wondering why they was made. You can't say you wasted your time because its only 3 mins lol, but why. I guess If you just want to look at some pretty animation sure, but I wouldn't recommend this at all. You can use that 3 mins to find something better to watch. This is just plain dumb. Who wants to spend time with someone who is drinking, let alone watch a cartoon about it? "She becomes adorable" when she is drinking? Seriously, the premise is dumb, the creators wasting everybody's time and money. Thank god its only a 3 minute short, otherwise the wasted resources would be just unfathomable. This should be canceled immediately and all funding donated to charity, the producers who green-lighted it run out of the industry. I have never met an "adorable" drunk. Piffle. I get it. Why on Earth would you watch three minutes of anything about a chick who likes to get drunk and only does it in front of her husband? Because it's only three minutes and it's freaking cute. I'm gonna guess many of us have watched something sillier than this for longer than three minutes without complaint. We can do this too. I really like these kinds of short form shows that showcase a little piece of knowledge. It kinda reminds me of Wakako-zake, although the production quality seems to be higher with this show. The relationship between the couple is also pretty cute. I'm looking forward to seeing what other cocktail recipes the show decides to touch on. You knew what you came for! If I had to really say something about this, is that it's too darned short! Besides that, there's really not much you can say about a series with short episodes other than it being a light, fresh breath of air before you dive into another crazy emotional ride through another series! Also, for those that enjoy a good drink, I do enjoy that they give you the mix to try on your own. This is like a splicing of "I Can't Understand What My Husband Is Saying" and Wakakozake. Working woman, finding a bit of pleasure in the small pieces of life. This is a great format, and it seems promising. It'll fill a 3-minute hole in my heart for the next few months. I'm always into anime that depicts Japanese life a Japanese way. This feels like one of those, but... it's short. Some of our livers aren't necessarily doing so well. But I'll keep watching. 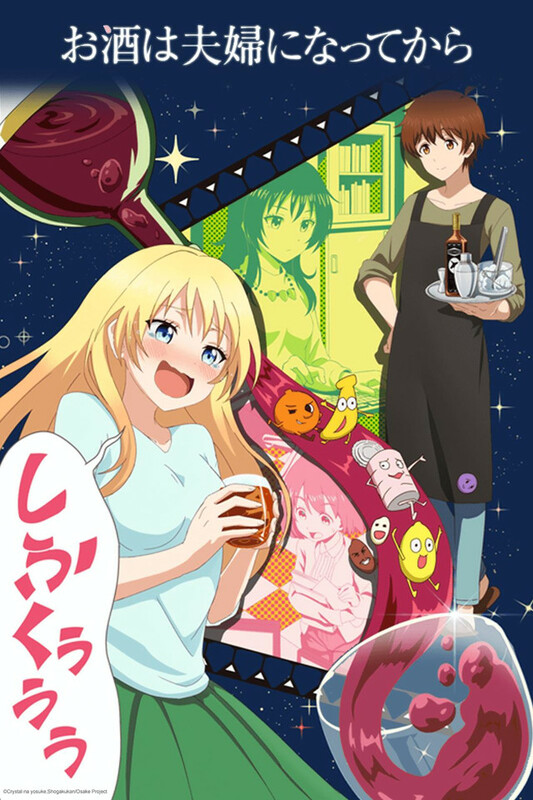 The anime starts with introducing 2 characters who are in a relationship (Alcoholic girl and cute bartender). Both characters seem to be based on the most generic character tropes. The male character reminds me of most shojo male leads. On the other hand the female character is a copy and paste of omaru-chan but in adult form. Anime recommendation: I cant understand what my husband is saying. In-Depth Review - Love is like a Cocktail is not meant for everyone. Personally I think this show is NOT meant to showcase a story or any kind of plot. The show is almost meant directly for bartenders or people that like alcohol. Every episode (so far) has recipes for new drinks that people can make. The information is surround by a cute couple that both are into alcohol. So understand what this show is about. NOT about plot but about sharing drink recipes.